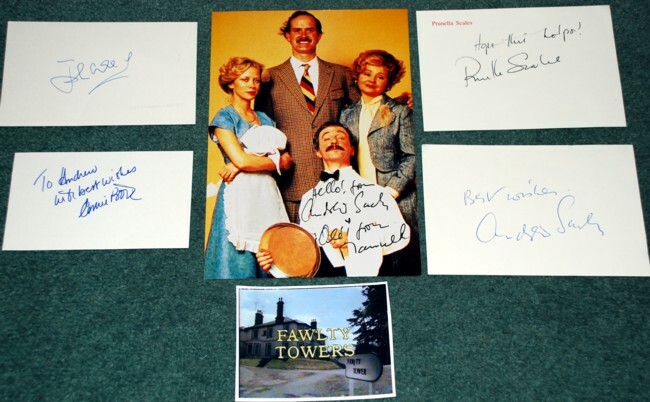 A very rare collection of 4 autographs for the BBC TV classic FAWLTY TOWERS. Note: The 2 colour photos are not included and is available separately. (shown as a presentation idea only). 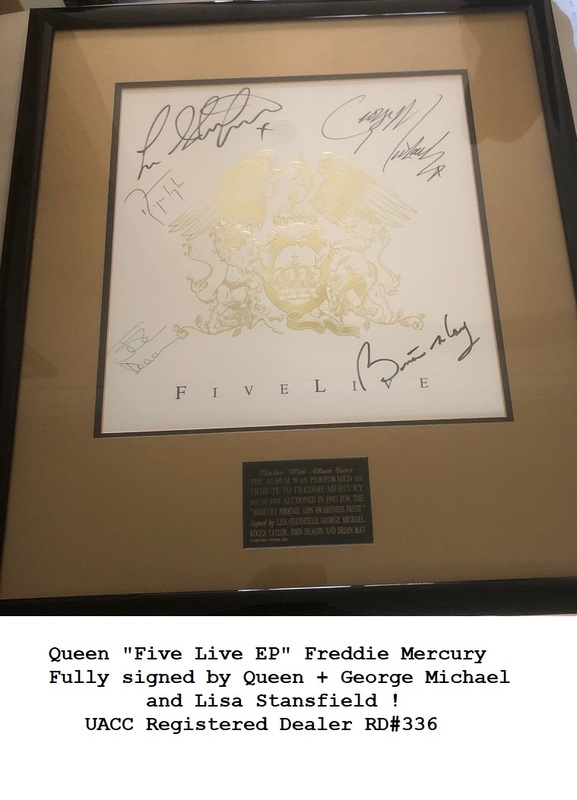 You will get the 4 signed cards.